A great line from the classic comedy American Pie, right? I agree. This blog is about a different kind of scoring, though. Ever since I was a kid, I have always been a statistics guy. Throughout my youth, I could recite the batting averages or ERA’s of virtually every Major League Baseball player, the average points and rebounds per game of anyone in the NBA, and the number of rushing yards and touchdowns of any running back in the NFL. Now in my “old age,” I remain obsessed with statistics. I keep batting average, home runs (yes, I can count on one hand, ha), RBI, put-outs and errors for every softball league I play in. I pay rigorous attention to the metrics that lead to better sales numbers at work, and of course keep all kinds of statistics relevant to my golf game. One of my favorite golfing buddies likes to tell me that I am not good enough to keep golf stats, but I disagree. As long as certain statistics and trends lead to better scores, I am all for the effort. Key statistics help diagnose the trouble spots in my game, and it is then up to me to work on the techniques and strategy that will improve them. What the heck are all those numbers, you ask? The key number in each cell is, of course, the score. The other numbers dictate a story that led to the score earned. 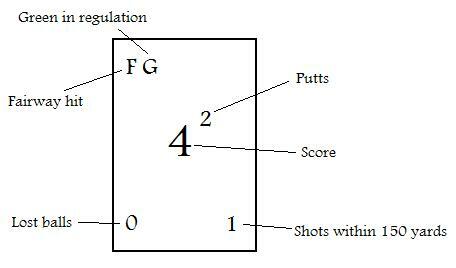 G: Green in regulation – Was the approach shot safely on the green two strokes under par? All of these numbers are, of course, interrelated. Greens in regulation are most easily achieved when the tee shot is in the fairway, for example, and too many shots within 150 yards, or any balls lost, will make greens in regulation, and a low score on the hole, next to impossible. Most of the season it seemed to me that my best rounds were achieved by fairways hit. When I hit over 40% of fairways, I score well. What I’ve found recently, however, is that one of the key statistics that leads to low rounds is the number of shots within 150 yards. 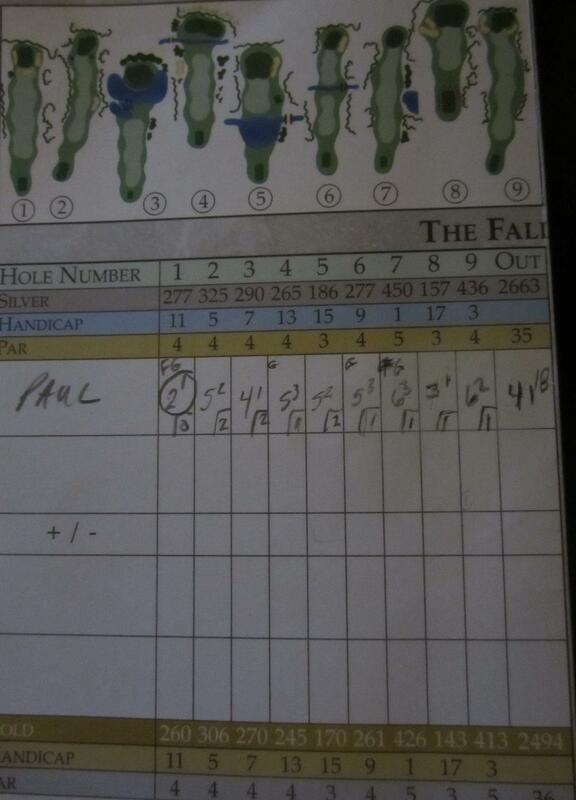 A friend of mine told me last month about his score-keeping techniques and focus on better approach shots, and adopting his view has started to pay dividends in my own game. My season has been plagued by low fairways hit, but holding greens is proving to be more essential to low scores. Any competent golfer should be able to two-putt from anywhere on the green (although that obviously proved to be a chore on the round above! ), although there are obviously always exceptions. I am a ways off, on average, but will continue to work toward these numbers, and when I get there will of course set new goals. 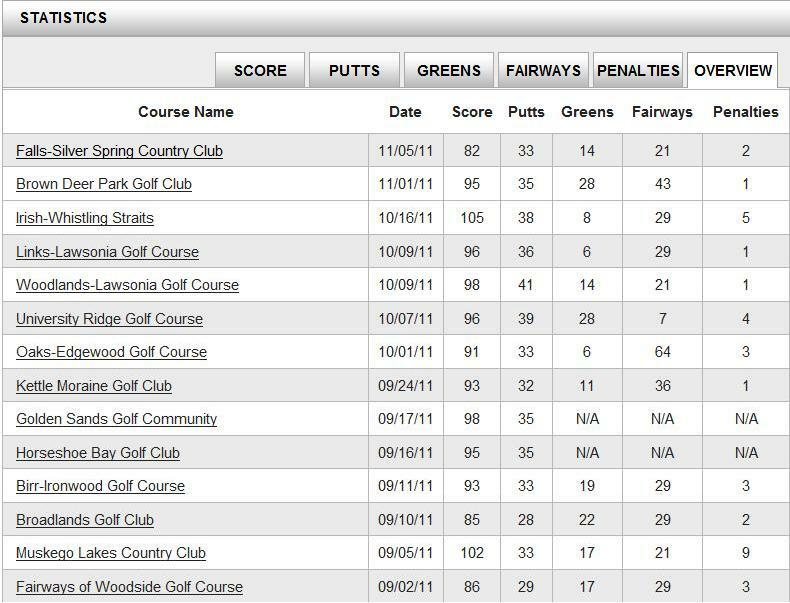 There are great programs out there to help keep track of golf statistics, too. The one I use is iGolf.com. 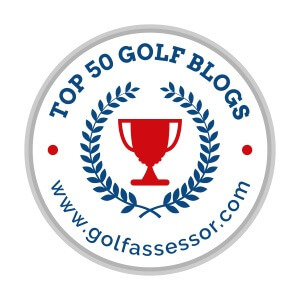 Having received a free year of membership to iGolf’s programs with my new Bushnell golf GPS, it has proven to be a useful, comprehensive site to benchmark my season’s improvement [or lack thereof]. Whether you are a scratch golfer or a weekend warrior, tracking statistics can help point out both strengths and shortcomings in your game. They can also be used to benchmark improvement, and provide goals to aspire to. Try to avoid being aggravated if your stats are not initially where you want them. If you view them as a starting point to be improved upon, and work on the areas where you are currently weak, you are sure to see gradual success and better scoring in the rounds ahead.